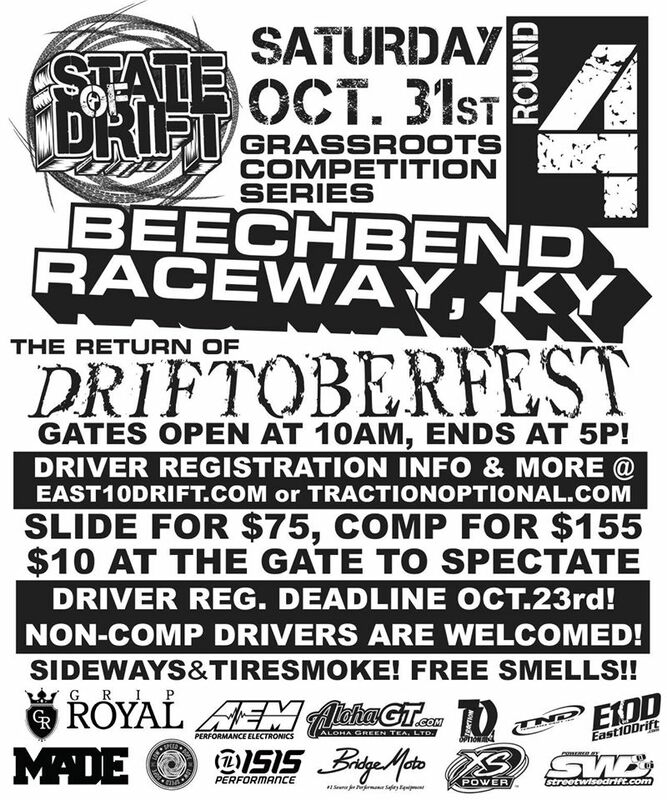 Join us October 31st when MidSouth's top drivers compete to become State of Drift's 2015 series champion! 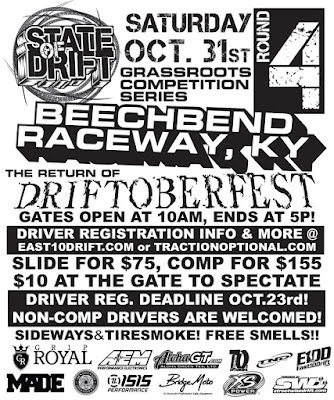 Vendors and Car Clubs welcome! More details to follow message us with any inquires.